The photographer achieved a childhood dream of getting to see a black leopard. 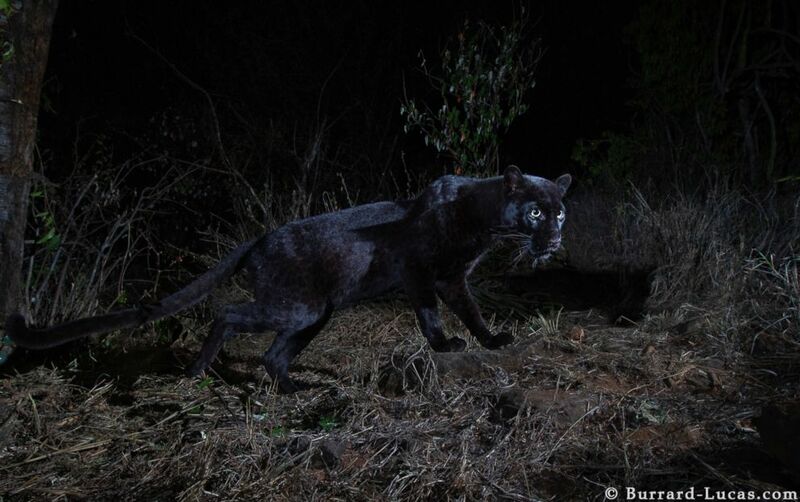 A photographer has captured high-quality images of a rare black leopard at a wilderness camp in Africa. Wildlife photographer Will Burrard-Lucas wrote in a blog post published Wednesday that he has been "fascinated" by stories of black panthers and their elusive nature since childhood. He began conceptualizing his dream of capturing an image of the large, hidden cats after noticing photos of them emerging out of the Kabini Forest in Karnataka, India, a couple of years ago, he said. Burrard-Lucas' first encounter with the black leopard occurred in the Kabini Forest in September after he was asked to speak at the Nature in Focus Festival in Bangalore, where he captured a faraway image of the large cat. (Burrard-Lucas Photography) Photographer Will Burrard-Lucas captured images of a rare black leopard with a Camtraptions camera trap at the Laikipia Wilderness Camp in Kenya. After the experience, Burrard-Lucas learned through friends about a black leopard living at the Laikipia Wilderness Camp in Kenya, and he immediately set out to find it. Once the owners of the camp confirmed they'd seen "several black leopards over the years," Burrard-Lucas decided to visit, and learned as much as he could about the leopard's habits and territory, he wrote. After deploying a series of camera traps, a high-quality DSLR camera and two or three flashes over several nights, the last trap he checked contained images of "a pair of eyes surrounded by inky darkness," he said. "I couldn’t believe it and it took a few days before it sank in that I had achieved my dream," Burrard-Lucas wrote. As he "gained a deeper understanding of the leopard's movements," the photographer moved the camera traps around and captured even more images. "I love the way this cat melts out of the darkness!" he wrote. 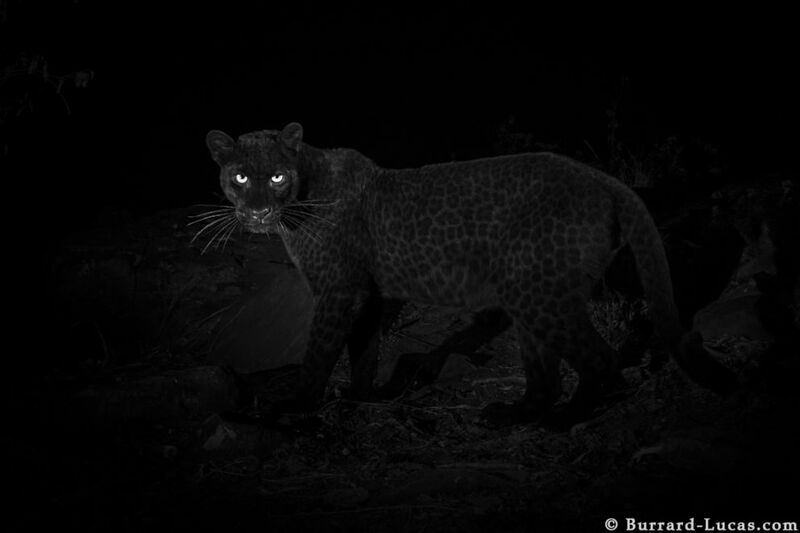 Soon after Burrard-Lucas achieved his dream, the black leopard disappeared, and he began capturing images of a large spotty male leopard who apparently "had chased the younger black leopard" away. "I have never been annoyed at capturing a spotty leopard on camera trap before!" Burrard-Lucas said of the irony. 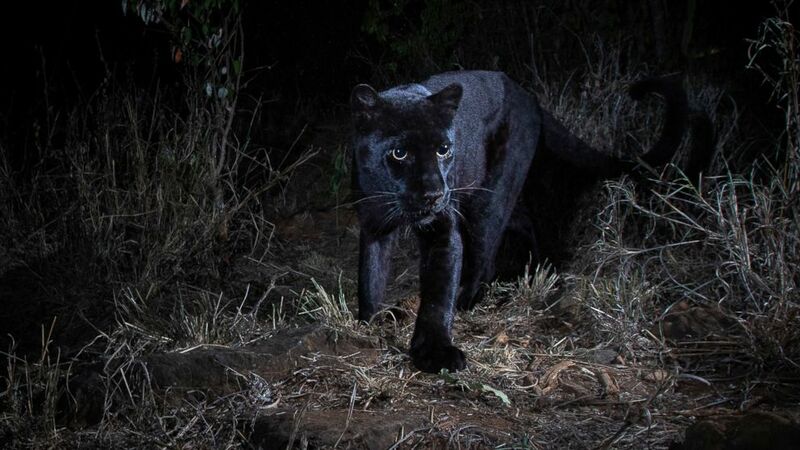 After more nights of shooting images of the spotty leopard and some hyenas, the black leopard reappeared on the night of a full moon, he said. What struck Burrard-Lucas the most about the rare animal were its eyes, he wrote, adding that he had to adjust his lighting to darken as much of the background as possible to create a stunning contrast. The images, taken with a Camtraptions Camera Trap with a wireless motion sensor, were confirmed to be of a black leopard in the African Journal of Ecology, published on Jan. 29. The photos are the first scientific documentation of a black leopard in nearly a century, according to the journal. The last documented sighting was in 1909 in Addis Ababa, Ethiopia, the National Geographic reported. The photos from the 1909 encounter are stored at the National Museum of Natural History in Washington, D.C., according to the National Geographic.